Ideally, a painting on canvas is stretched over a wooden strainer or stretcher before framing. It can, however, be hung without a frame if you prefer. If your canvas is unstretched, that is, it has been taken off a stretcher or, has never been stretched, we will normally advise that you have it stretched. Tray frame with gilt edge. Tempera painting on wooden panel. 2. Rebate framing: where the edge of the canvas goes into the rebate of the frame so that the edge of the canvas is just covered by the frame sight edge; this is the more traditional approach. Many profiles can be used to frame your painting and multiple profiles can put together to create more complex profiles, additionally, a huge number of finishes are available; either ready-made or custom-finished. We specialise in getting the right period frame for your painting; contemporary, modern or antique. We also have a large selection of empty, antique frames for either contemporary, modern or antique works. Although paintings on canvas or board panels are not normally glazed it is increasingly a feature of paintings framed for museums and other collections. The advent of modern anti-reflection glass and acrylic means that an added protection to the painted surface can be given without reflections obscuring the image. The glazing will be spaced away from the painted surface requiring that a deeper frame is used. Be advised that if your canvas has been rolled it may have incurred some damage to the paint layer or to the edges but this does depend on many factors. 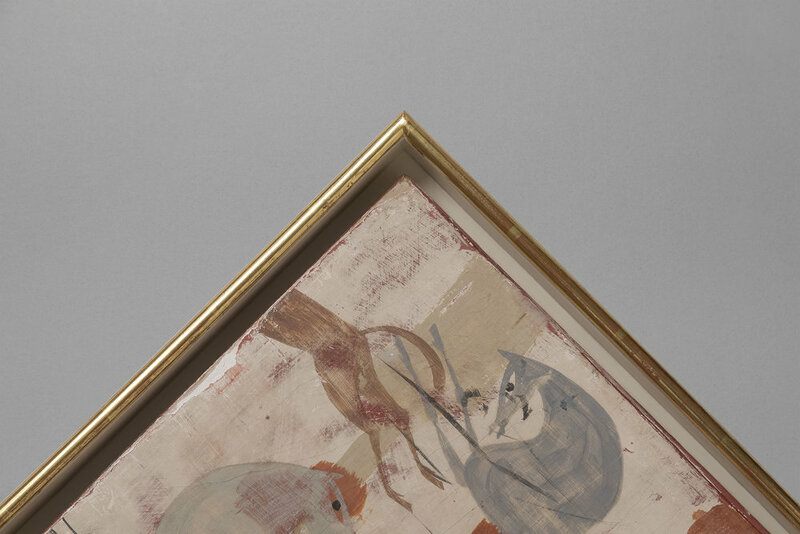 Paintings that are un-stretched may have previously been attached to a stretcher or strainer that was off-square or was bowed along the lengths or warped. When the painting is re-stretched some of these complications may reveal themselves on a square and true stretcher, we can usually resolve these issues. If you have a painting with some losses or damage we can advise on having it restored. If the support canvas is weak or damaged paintings can be lined or re-lined with a new support. Paintings that are discoloured can be cleaned and re-varnished where necessary.